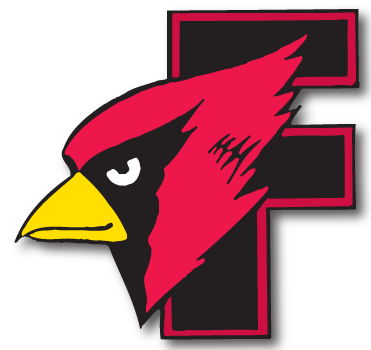 Fond du Lac 53 Appleton East 48 - Cardinal Athletic Alumni Association, Inc.
Luke Loewe scored 15 points as the Cardinals rallied from a small halftime deficit to edge the Patriots in Fox Valley Association play. Trailing 24-22 at the break, Fond du Lac outscored Appleton East 31-24 over the final 18 minutes to earn the win. Caleb Goldstein added 10 points for the Cardinals, while Jack Cole had eight points. Fond du Lac — Caleb Goldstein 10, Drew Jorgensen 6, Jack Cole 8, Sam Fredrickson 4, Peyton Head 6, Luke Loewe 15, Jack Rusch 4. 3-pointers: 5 (Goldstein, Jorgensen 2, Cole 2). FTs: 8-10. Fouls: 16. Appleton East — Mitchell Nowak 9, Matt Polfuss 8, Lucas Kotarek 9, Jason Gurholt 6, Kaden Clark 13, Bobby Derfus 2, Jed Leisner 1. 3-pointers: 6 (Nowak 2, Kotarek, Gurholt 2, Clark). FTs: 8-13. Fouls: 12.